Our mate Ed Callow sent this photo and it immediately caught our eye. 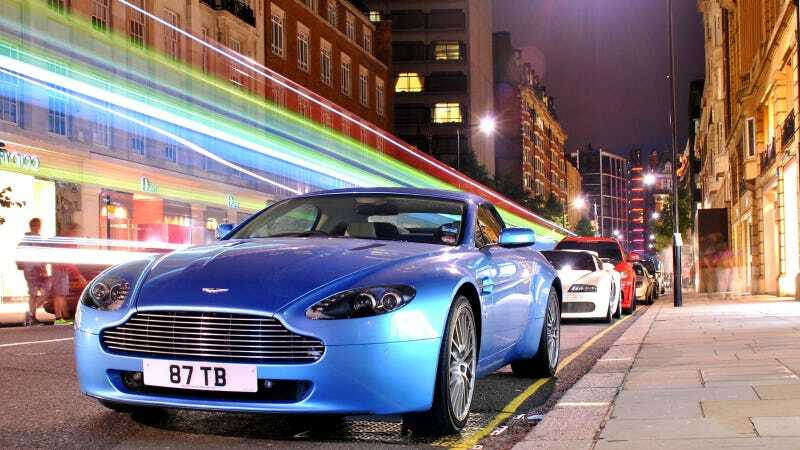 There's not just a rainbow of passing cars, there's also the bright blue Aston Martin V8 Roadster, white Veyron Grand Sport, and bright red Hamann monstrosity. Taste the rainbow.